Today guest post talks about two of our favorite subjects: Kids and Pets! Since we have family out of the area we do a large amount of traveling in the summer. 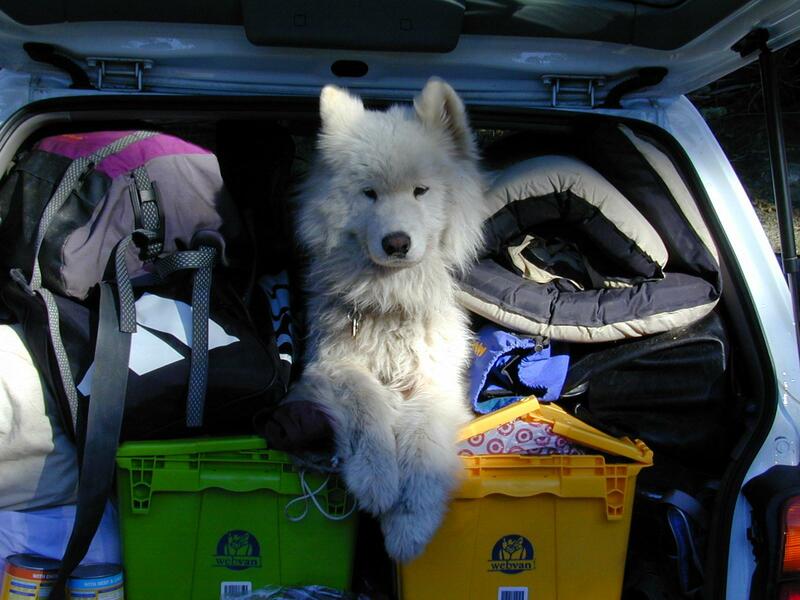 Hopefully you can use these tips when traveling with your kids and pets. With summer vacation right around the corner, parents are starting to plan for the season’s entertainment. For many, that includes a trip by plane, train or automobile. Whether it’s to grandmother’s house, Disneyland, a foreign country or some historic site that is both educational and entertaining (note: kids generally will disagree with you on this point), traveling with children requires extra preparation. If you’re planning to bring the pets along as well, you’ll need to be even more thorough in your planning and increase your supplies. Use these tips as a guideline to help you get started on preparing for your road trip with kids and pets in tow. 1. Identify and book pet-friendly hotels along your planned driving route in advance. Motels and hotels are plentiful along most heavily traveled roads, but not all of them may accept pets. Spare everyone the pain of last minute frantic searching on your phone when your kids are already ready for bed. 2. Group supplies by need or function and pack each “purpose” in its own bag. This way, you can easily grab the bag with the kids’ snacks without having to search through DVDs, games and the pets’ food as well. Put games in one bag, toys in another and so on. 3. Make sure you have all your travel snacks in individual baggies for each child. This will help prevent fighting over food sharing and spills that come from handing a large, communal bag of food back and forth between the seats. 4. Don’t feed your pets while on the road. Animals get motion sickness too and feeding them while they’re in that state just means one more stop and delay in your trip, and one more mess to clean up. Feed your pet(s) a light meal a few hours before they get into the car; if you have dogs, walk them before loading them into the vehicle and again during the pit stops. If you are traveling with cats, let them out of their carriers in an enclosed area and provide them with a disposable or travel litter box (one that can be closed and sealed between uses to prevent spilling). Be sure to also bring treats to help calm the pets. 5. Pack microfiber towels and pet cleaning supplies. Accidents will happen—the pet cleaning supplies will help clean up any messes the kids may make as well, especially with food-related mishaps. Baby wipes are also convenient to have for cleaning up. 6. Bring plenty of bottled water for you, the kids and the pets. Water is a better option than boxed juices or soda because the pets are able to drink it as well. In addition, water spills are easy to clean up, unlike the sticky messes juice or soda leave behind. Be judicious on how much water you provide or you will find your caravan stopping frequently for bathroom breaks. 7. Don’t try to make a very long drive all at once. Breaks are necessary for kids and pets with pent-up energy and small bladders. Find points of interest along the route to stop at and let everyone stretch their legs. 8. Bring items that comfort your kids and pets. If your child needs his blankie/pillow/boo boo bear to sleep when in a strange location or to travel, ensure he or she has it with him or her. Do the same for your pets—put something familiar in the carrier or crate like his/her blanket or toy. Be prepared for everything. All manner of mishaps can occur with kids and pets at home—consider the extra stress and opportunities for disaster that comes with being on the road. With extra organization and careful planning, a road trip with your entire family, pets and all, can end up being one of the best vacations of your lives. Marcela De Vivo is a freelance writer from Los Angeles who specializes in travel, marketing, and health. She has three kids and two Great Danes, so travelling as a family can make for challenging but fun adventures and finding a pet-friendly place to stay is made easier withGuestDoor.com.